Nap time has become "lets make a mess time" to Bryson. I put him in his bed, kiss his smiley face (he's seriously always smiling) and then leave the room only to hear toys being dumped out of their bins minutes later. Once he's made sure every last toy is on the ground in a mess like fashion, he'll crawl onto his toy covered bed and fall asleep. 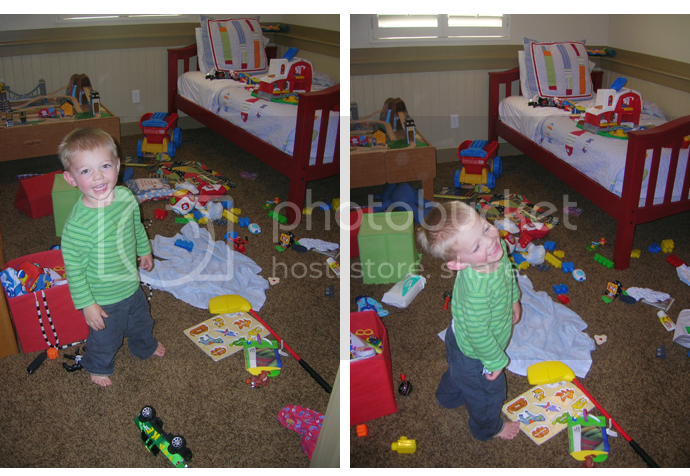 These pictures were taken the other day when I caught him in the middle of one of his mess making sessions. The little stinker! 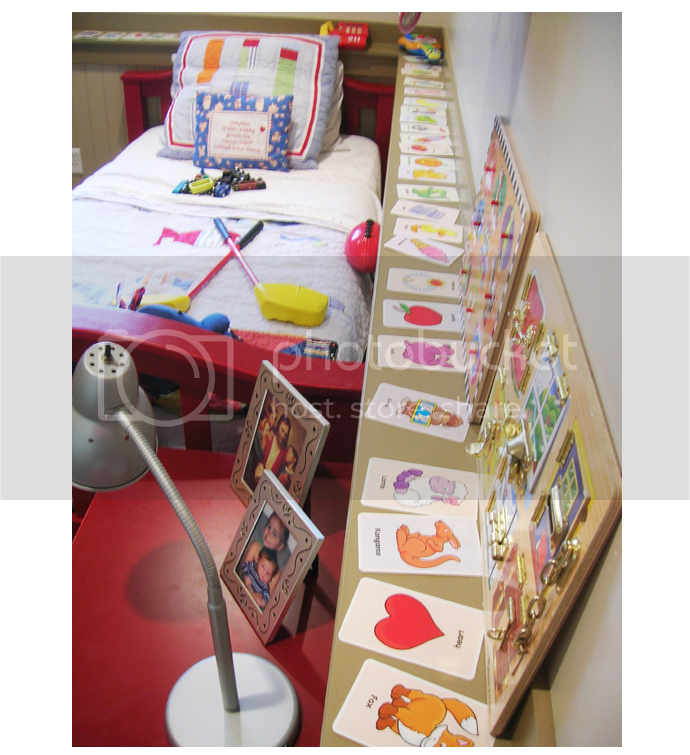 After another one of Bryson's naps this week, I walked into his room and found all of his flashcards lined up very meticulously around the ledge of his room. Not sure how long that took him, but he was certainly proud of himself! Such a funny little guy. Thankfully he's kind enough to keep most of the messes to his room.